One of the most fascinating things I’ve discovered about Jesus is that although he is arguably the most famous man who ever lived, there is nothing we know of him historically contemporaneously. Even most Christian apologists admit that Paul didn’t write his letters until the first century 50’s and the gospels are supposed to have been written in the late 60’s onward. There are no known contemporary writings of Jesus in historical documents or even Biblical documents. And the Biblical documents don’t assign dates to any events in Jesus’ life. Sure, they point to Matthew’s story of Herod and his massacre of the innocents. But Herod died in 4 BC and the massacre of the innocents is not documented in any historical writing and is only documented in 1 of the 4 canonized gospels. In Luke, they point to the historical episode of the census of Quirinius which points to a date of 6-7 AD. Of course, apologists twist themselves into knots to reconcile these accounts. But those apologetic knots never reconcile to an exact date and that’s my point. The death date is just as hard to nail down. You have to look for passover dates and earthquakes and sky darkening events. And the date of the crucifixion in relation to the passover is in question between the 3 synoptic gospels and the gospel of John. So given this most famous man who ever lived, why do we know the birth dates and death dates of many less distinguished individuals but not Jesus? And in terms of current Christian theology, Christians believe Jesus came to earth as God incarnate to save us and Paul tells us that the way we become saved is fundamentally to “believe” in Jesus’ divinity and resurrection. They believe hellfire awaits those who don’t believe. But think closely about the system that God set up for us here. He forces us to believe in Jesus to be saved so he divinely conceived a system where he would come to earth as man at a time when we were still writing on parchment. He also setup the system so that not a single historian noticed all the miracles and crowds surrounding his human self. And if anyone did notice, no contemporary writings survived. You might argue with me that God’s system has worked well and billions believe the story and that the Bible became one the most popular books in history. And that apparently God wants most people to burn in hell so this system aids in that goal. So kudos go to God for this system. But my belief is that most Christians are unaware of the gap in historical evidence for Jesus at the time of their conversion and if they were it would raise an eyebrow about the validity of the story. I was raised Christian in a fundamentalist family and only came to understand the historical gap in the last couple of years. It is not well known in the Christian community or not publicized to the pew potatoes. Of course, for most believers, it really doesn’t matter to their faith. Many state very plainly that there is no evidence that could ever change their mind about their faith but that notion simply drives home the point that they didn’t come to their faith by evidence which is good because when it comes to Jesus’ historicity, there is no evidence. Philo of Alexandria was born in 25 BCE in Alexandria, Egypt. He died about 47-50 CE. He wrote an account of the Jews covering the entire time that Jesus is said to have existed on earth. Philo spent time in Jerusalem where he had intimate connections with the royal house of Judaea. One of Alexander’s sons (and Philo’s nephews), Marcus, was married to Berenice, daughter of Herod Agrippa, tetrarch of Galilee and Peraea, 39-40. After the exile of Herod Antipas – villain of the Jesus saga – Marcus ruled as **King of the Jews**, 41-44 AD. But nothing from Philo on Jesus, the other ‘King of the Jews’. Philo was living in or near Jerusalem when Jesus’ miraculous birth and the Herodian massacre occurred. He was there when Jesus made his triumphal entry into Jerusalem. He was there when the crucifixion with an earthquake, daytime darkness, and resurrection of the dead ‘saints’ took place and when Jesus rose from the dead after 3 days. He was there when Jesus ascended into heaven. About thirty manuscripts and at least 850,000 words by Philo are extant. It was Philo who developed the doctrine of the Logos, or Word, and although Jesus, this Word incarnate, was walking around giving speeches and performing miracles, Philo wrote not one word about him or about any of this. http://www.bede.org.uk/Josephus.htm A little more research perhaps?? Assuming the Testimonium Flavianum was really written by Josephus in its entirety which is a dubious assumption but let’s assume it’s true. 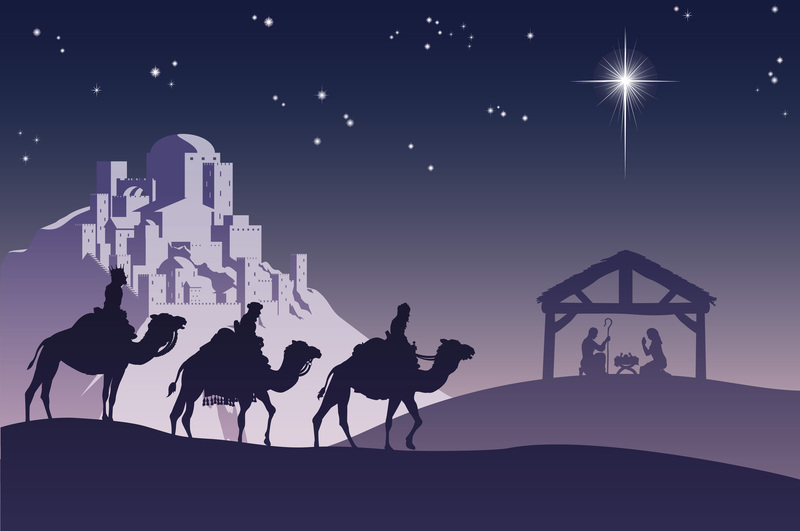 What year did Josephus say Jesus was born? And what year was Josephus born? Please research and get back to me. The article still stands. Please present a better refutation.